WASHINGTON: Researchers have said that bombing Earth-bound asteroids may be a viable option to avoid a collision. And other scientists are suggesting that, despite previous assumptions, we wouldn't need an impossibly powerful bomb to destroy a threatening asteroid, reports National Geographic News. Scientists think the objects fall into two broad categories: solid space rocks and loose "rubble piles" held together by gravity. Robert Weaver of Los Alamos National Laboratory in New Mexico said that it had always been assumed that explosives would be more effective at blowing apart an asteroid if inserted deep in the body's interior. Bur Weaver found that the bombing option wouldn't require any drilling to get the job done. According to his models, a nuclear explosion equal to one megaton of TNT would blow a solid asteroid to smithereens whether the bomb was placed on the asteroid's surface or deep inside the space rock. 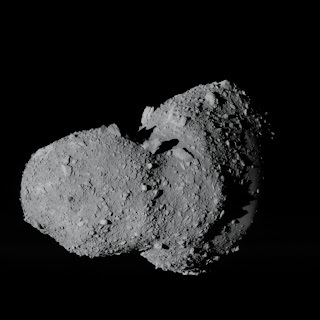 His computer programs predicted that the asteroid Itokawa--a loose pile shaped like a 1,000-foot-long (300-meter-long) potato--would be broken to bits by an explosion of just 500,000 tons of TNT. Bombs big enough to create such a blast are relatively common. Another argument against bombing NEOs is the so-called shotgun effect, in which a bomb breaks the asteroid into a swarm of smaller chunks that can cause widespread devastation. But according to Catherine Plesko, also of the Los Alamos lab, and her colleague Don Korycansky of the University of California, Santa Cruz, a nuclear explosion roughly 25 times larger than the roughly 15-kiloton blast at Hiroshima would shatter the asteroid and scatter the pieces far enough that they wouldn't threaten Earth. The gravity tractor: A nearby spacecraft uses its gravitational influence to tug the asteroid into a safer path. The impactor: A large spacecraft slams into the asteroid hard enough to jolt it off its Earth-bound track. The standoff burst: An explosion close to the asteroid vaporizes some of the space rock's surface, so that the asteroid recoils in the opposite direction. But most of these options require quite a bit of advanced warning, because the technologies involved are less mature than nuclear bombs, and because some of the methods would require a longer lead time than the bomb option. The use of explosions "is an interesting issue, but I'm not sure it's a closed issue," Guy Consolmagno, an asteroid researcher at the Vatican Observatory said.